In an impressive initiative developed and organized by Vigor Events and Co-organized by ALGAS Events; March 15th 2016 marked the long anticipated Corporate Olympics event – Kuwait’s first high energy program developed to meet the goals, desires and abilities of any organization where AlYasra Fashion won the title of Kuwait’s 1st “Corporate Olympics Champions”, Equate Petrochemicals was awarded 2nd place, and Kuwait Oil Company secured 3rd place. Top companies in the country from all different industries and sectors competed in this unique event which involved each company sending a team of their most competent employees to compete other companies in a variety of activities and challenges that tested their mental and physical capabilities motivating them to achieve the best results. “When companies have employees with remarkable sports skills and competencies, they take part in sports events that are regularly organized. 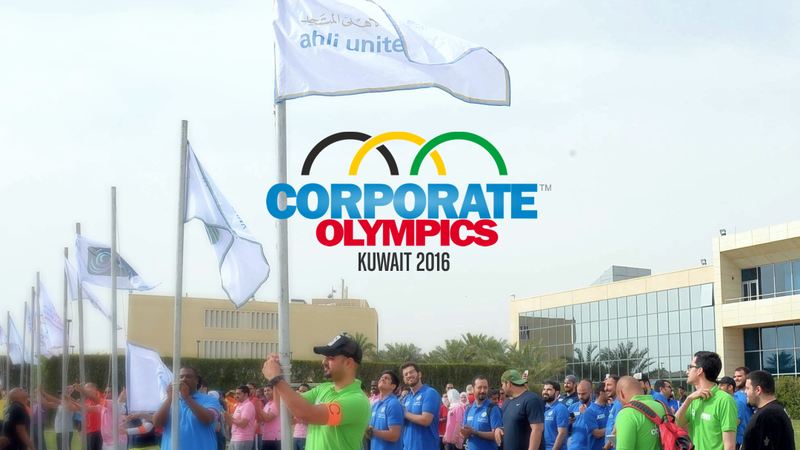 However, companies can’t show off their competent employees when it comes to business and organizational skills and so we designed the Corporate Olympics with business simulations in order to provide companies with this unique chance” Arab explained. “We are pleased with the overwhelming outcome and the participants’ performance and we are looking forward to repeat this distinguished experience again” Mohammad Ibrahim concluded.